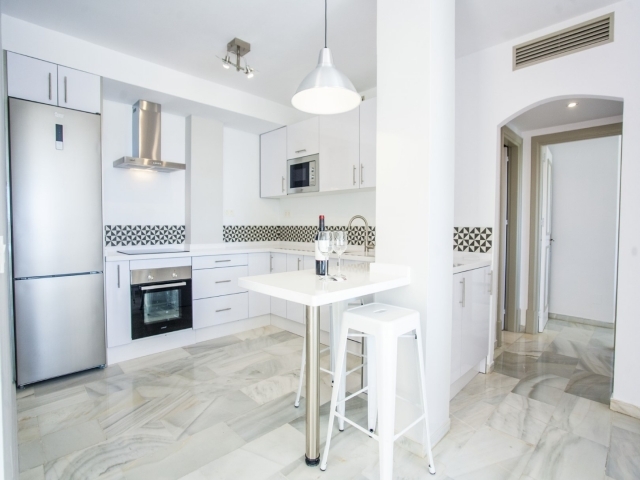 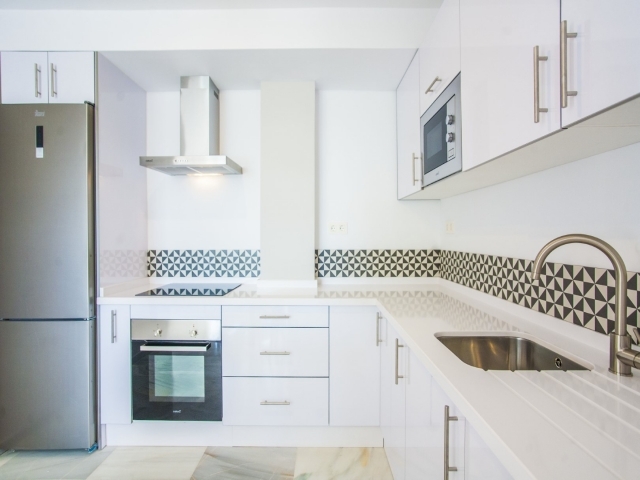 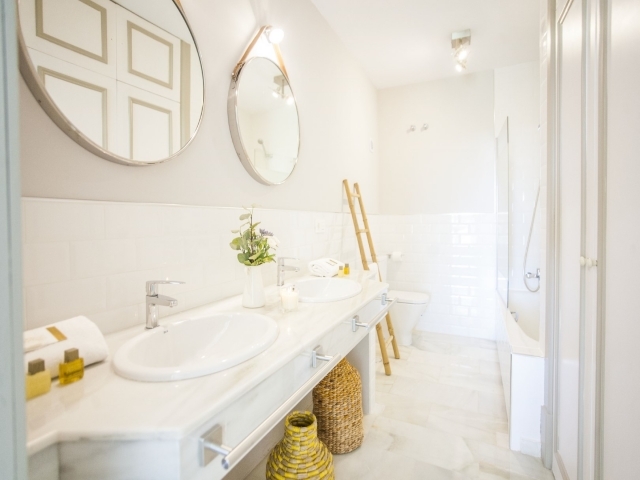 Three bedroom apartment for sale in Jardines de Andalucia. 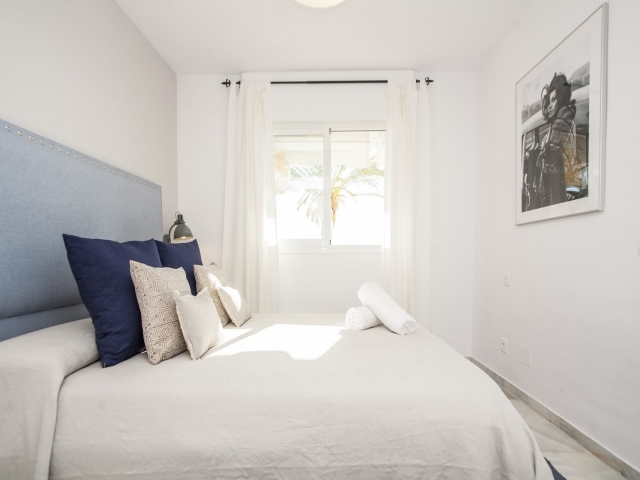 Renovated to the highest of standards in April 2017. 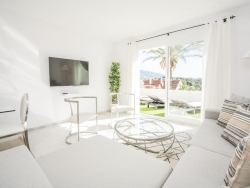 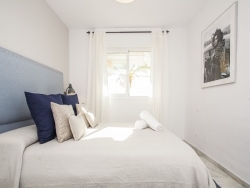 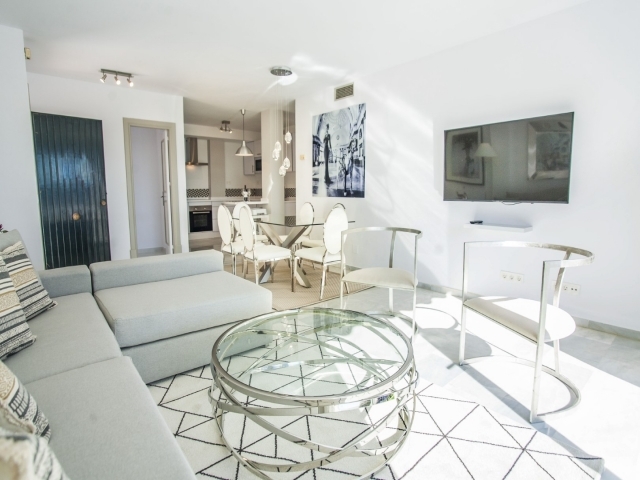 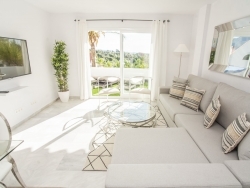 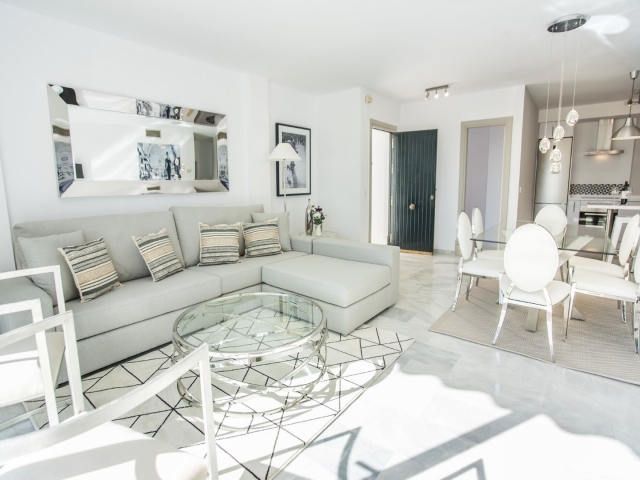 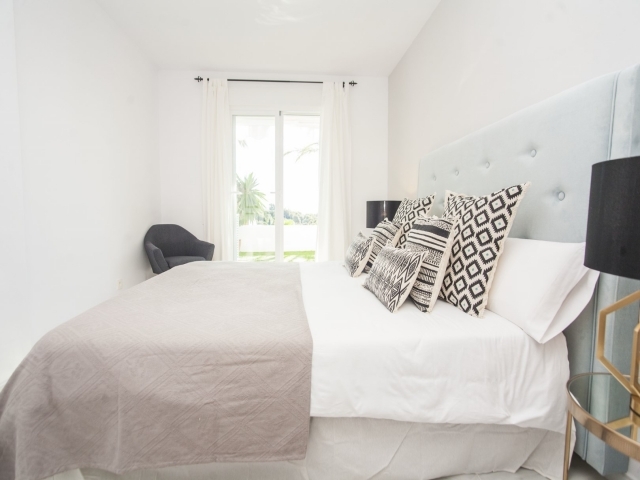 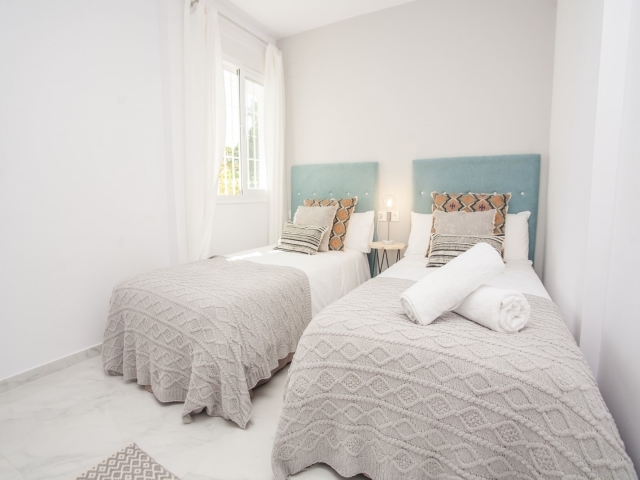 Situated in the heart of Nueva Andalucia, within walking distance to all amenities, Puerto Banus and the beach. The property boasts a sunny East facing terrace with both dining and relaxing areas. 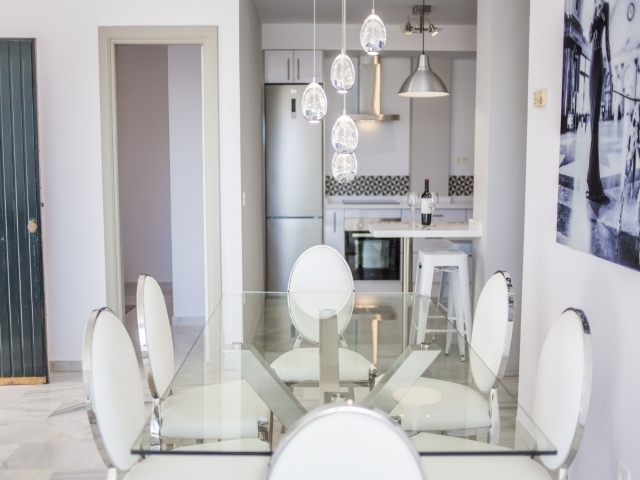 Modern and bright living room and fully equipped kitchen. 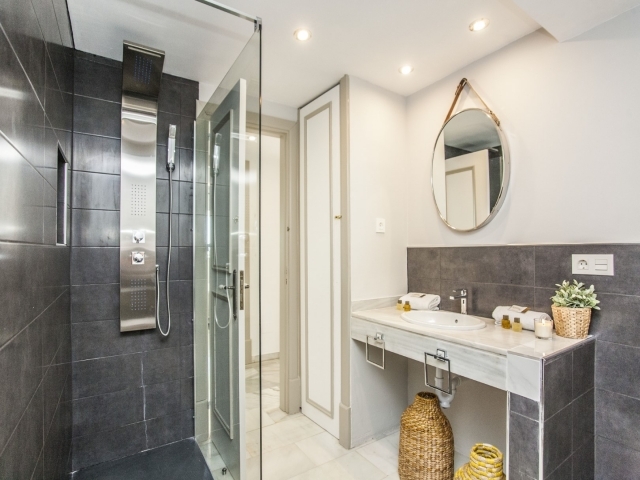 Master bedroom with en-suite bathroom. Two further bedrooms sharing one bathroom. 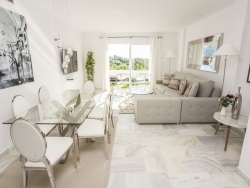 Private complex with landscaped gardens and swimming pool.